The links of this post has been updated, so you can get to download pes 2016 iso without any problem. Talking about the latest pes 2017 iso, also has been updated for download. Feel free to download any of this games. 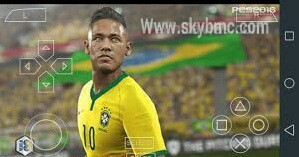 If you have passion for sport games and yet to play PES 2016 ISO PSP on your smart Android device, just know that, you have missed a lot in the world of sports games. 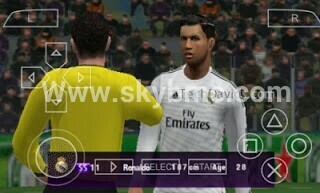 Already, you can testify about pes 2015 iso. And that of pes 2014 iso. 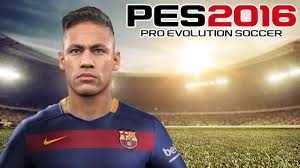 But this latest version which is pes 2016 iso supersedes the old versions with great features. This PSP game is programmed for Android users only. And it came with newly updated features, new players, and so many more new things embedded to it for fun. Trust me you will enjoy it. Download The Latest First Touch Soccer 2017 (FTS 17) Android APK Game + Data File. Download And Install The Latest Dream League Soccer 2017 APK With OBB Data. Download And Install PES 2017 Game For PC/Laptops. Updated Jersey wear for some clubs. Beautiful Boots Adidas Pack for the players. latest skills was added and many more to enjoy when you install it on your device. ==>For PSP Emulator, link 1 Download PPSSPP Gold (free). ==>PES 2016 ISO Game Full Data: Download Pes 2016 iso (free). How to Install Pes 2016 ISO On Android devices. ==>3. Next to do, is to move the PES2016.iso that was downloaded to your Android SDCard/PSP/GAME folder. make sure you don't make a mistake while carrying out the moving. ==>4. Now from the PPSSPP Gold which you installed earlier on, open it and and you will see option that says 'find Games' just click and find PES2016 and tap on it. That's all. Now you can pair your friends to compete with you in the game or you can play alone, the choice is now yours, so happy enjoyment.